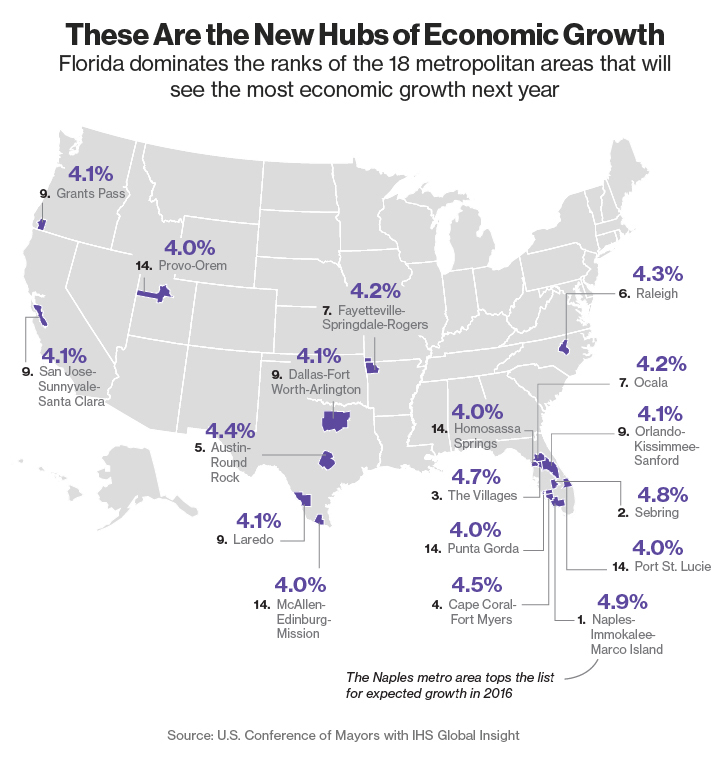 Florida made up half of the top 18 performers for economic growth in 2016! Cape Coral/Fort Myers area is #4 with the Naples area making #1. We are not just for retirement any longer. This area is on the rise. Give me a call to start your search today.